Newly reopened, the revamped Brasserie Conti – of the Grand Continental Hotel**** – has become somewhat of a trendy institution in the city. The hotel, which re-opens this month after being refurbished to four-star standard, is well situated in the city centre close to the train station and Notre-Dame Cathedral. Opening 2019 – the brand new five star Marriott Hotel Reims – right opposite the cathedral – part of the Autograph Collection. The hotel, built in what was the old fire station, will have 89 rooms and a spa. Four of the 17 suites will have a view over the Musée de Beaux Arts, which is undergoing a renovation. There will be a brasserie too and three large meeting rooms. 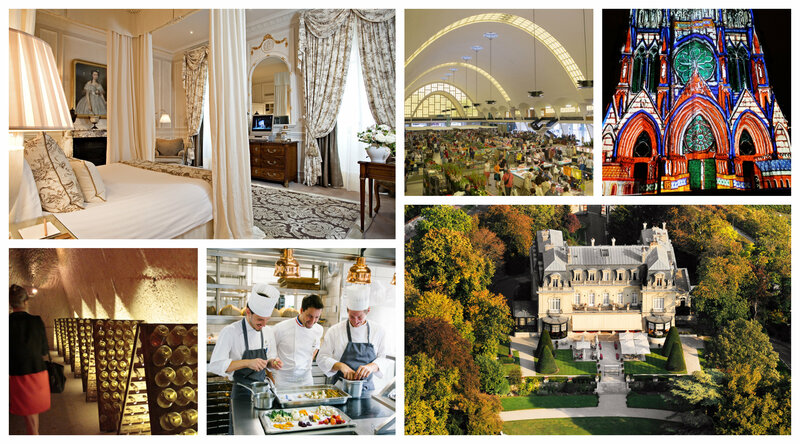 Known as the Gateway to Champagne, just 45 minutes by train from Paris this bustling town is renowned for its prestigious champagne houses, Gothic cathedral and Art Deco architecture. The city was largely rebuilt after the First World War caused extensive damage as it was virtually on the front line. 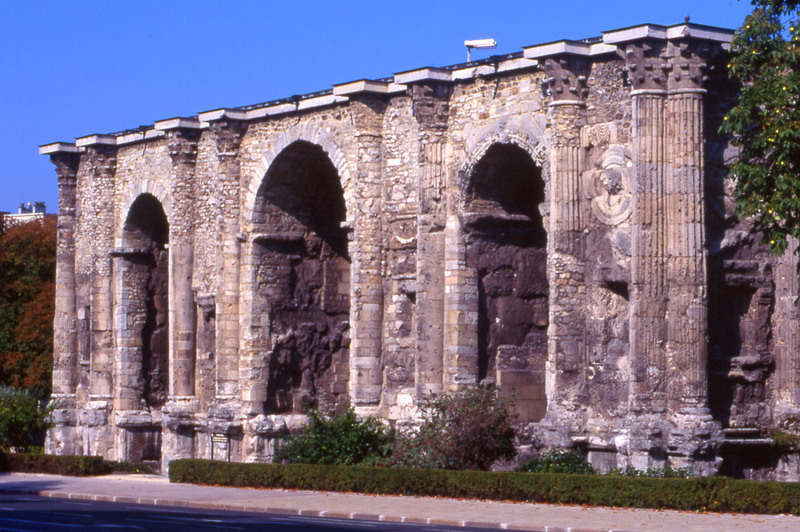 Little of the original Roman town remains except Porte Mars, an ancient gateway to the town and the cryptoportico – a semi-underground gallery dating from the 3rd century. 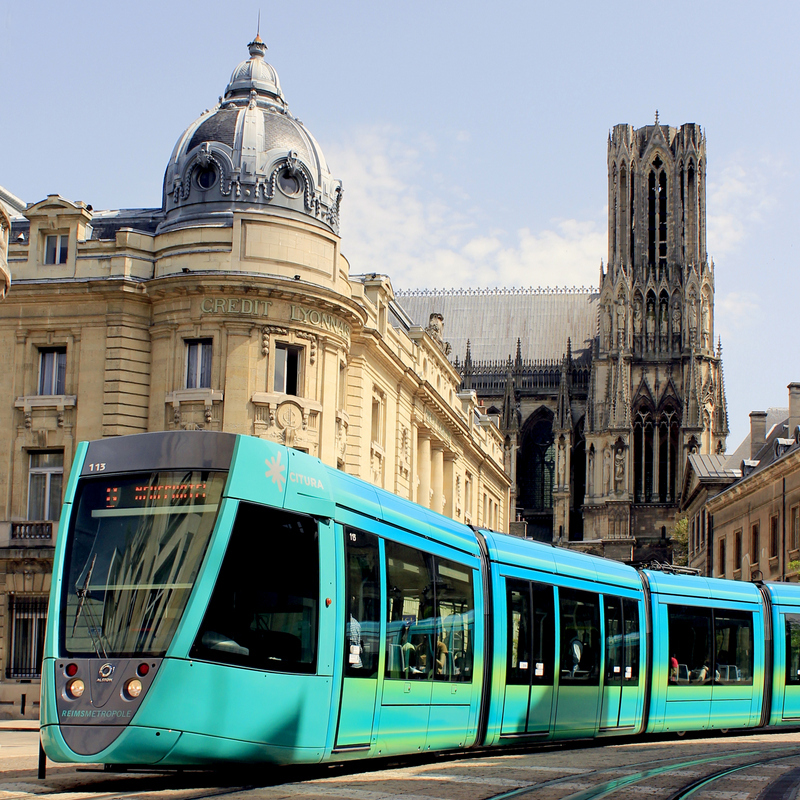 Reims has an unprecedented place in history as King Clovis I back in 498AD converted to Christianity when he was baptised by the Bishop of Reims, the future St.Remi. This created the link between the church and the monarchy in France for generations to come. In fact 33 French monarchs were crowned here giving the town the name the Coronation City. Notre Dame Cathedral is renowned as a gem of Gothic architecture, founded in 1211. The Silent Angel statue has become the symbol of the city. Every evening in summer there is a stu nning ‘Son & Lumière’ (sound and light) show in front of the Cathedral, which is free for all to see. It is one of three UNESCO World Heritage sites in Reims – along with the Palais de Tau,the former residence of the Archbishop, now the cathedral museum, which includes the Palatine Chapel. The Palais displays the coronation gown of Charles X, the last French king to be crowned here in 1825 – albeit his reign was short lived. The monastery of the Abbey of St.Remi is today a museum of the history of Reims with a rich collection of artefacts on display. The St Remi Basilica next door houses the relics of its namesake. This is where the special ampoule containing the holy ointment for anointing the new king was kept. This is an unusual museum housed in a fortress, built in the nineteenth century, which was very important in the First World War protecting the city of Reims. 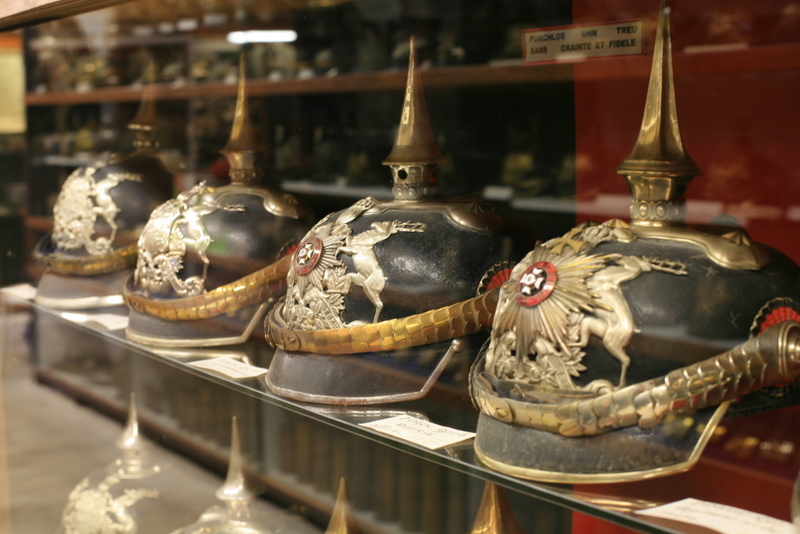 The impressive collection of memorabilia from the First World War includes the unique 560 assembly of Imperial German helmets and headgear. Open all year. It is a little known fact that the surrender at the end of the Second World War was actually signed in secret in Reims on 7th May 1945 in the map room of the American Army headquarters. This revered place has been preserved and is open to visitors all year round. 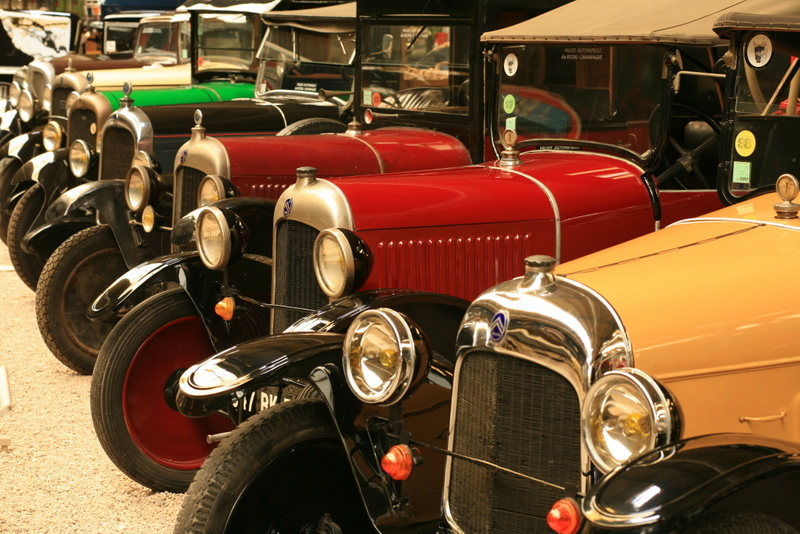 Houses over 200 vehicles dating from 1908 to the present day, which includes rare motorbikes and prestigious vintage cars. 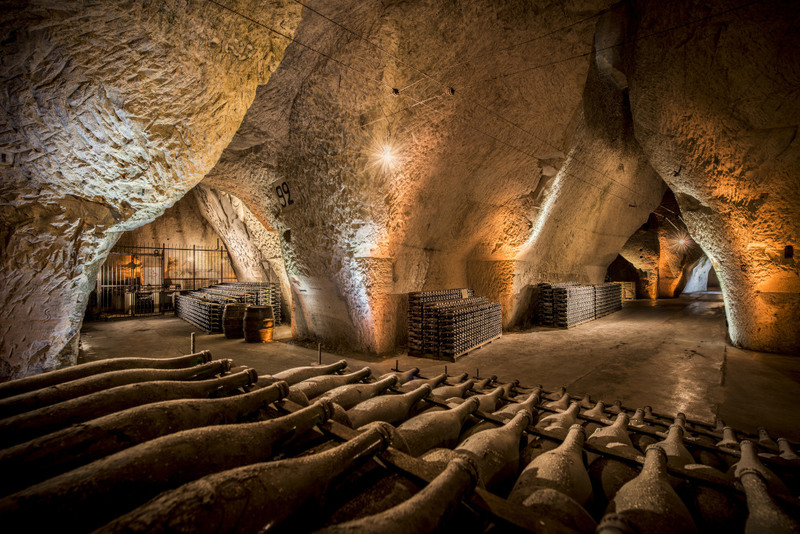 The visits of the cellars of some of the Champagne Houses incorporate the famous ‘crayères’ – giant chalk pits excavated by the Romans to build the first city of Reims. These underground chambers were joined by connecting tunnels over the centuries, developing into an intricate underground network of over 200 km. Used as a shelter for both soldiers and civilians during times of siege, (an underground hospital and school were set up during the First World War), the cellars of Reims, dug deep into the chalk, provided ideal storage conditions for champagne, with a constant cool temperature and high humidity. The Champagne Houses set up their headquarters above the cellars, each one adapting the visit of their cellars to reflect the individual history and heritage of their brand, such as the contemporary art exhibitions at Champagne Pommery. This champagne bar was created in 1971 to showcase the quality vintages of 27 artisan wine makers, promoting the exceptional character of the wines they produce. If you don’t make it to a champagne house this is an ideal alternative to taste some top champagnes. A 1, 2 or 3-day pass which gives access to more than ten museums plus free public transport in the city and discounts at many of the town shops and restaurants. A lovely tour of the city sites come rain or shine with commentary by audio-guide. Was created in the 17th century by a local baker who left his ‘little cakes’ in the oven to use up the heat, turning them to biscuits. 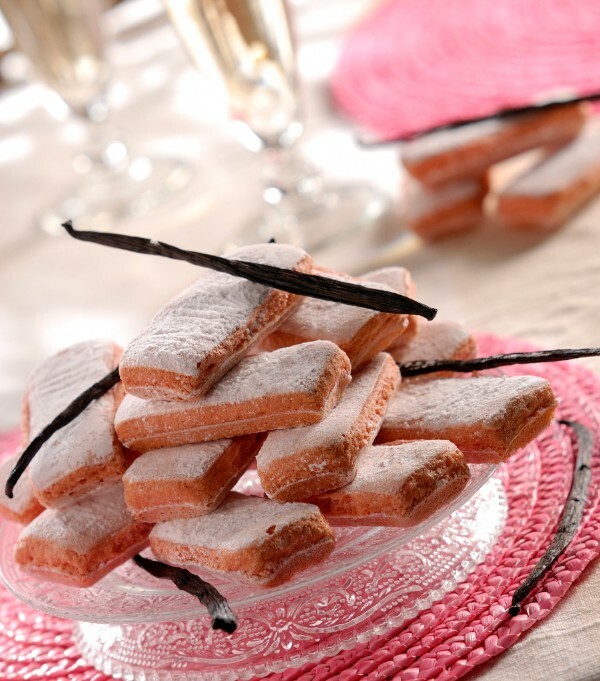 Vanilla flowered and coloured pink with natural carmine, the biscuits are very light and crunchy and are also used as an ingredient, especially for desserts. Sold today by the Fossier Biscuit Company in Reims. The vinegar is created from the yeast sediment disgorged from the champagne before corking which is then aged on oak barrels for a year. The vinegar is mixed with brown mustard seed to create the Reims Mustard which is made with black grapes and an ideal accompaniment to the Reims Ham – a variety of shoulder of park cooked in special stock and with a unique flavour. 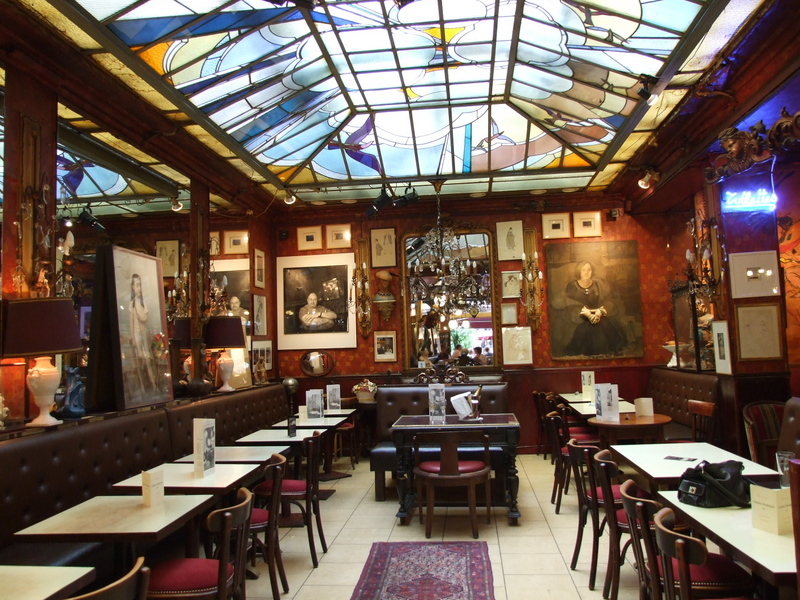 Au Piano des Chefs: Next to the Cathedral in the centre of town. 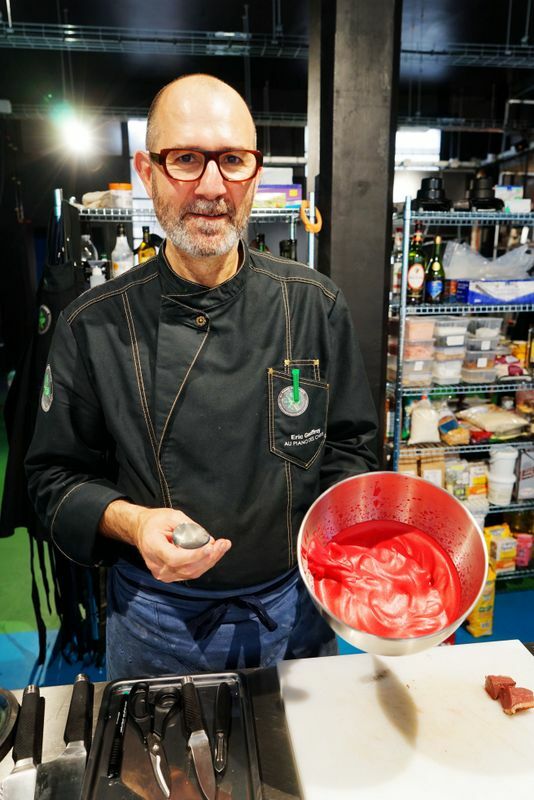 It is a creative wine and cuisine experience offering English and French speaking cookery classes. 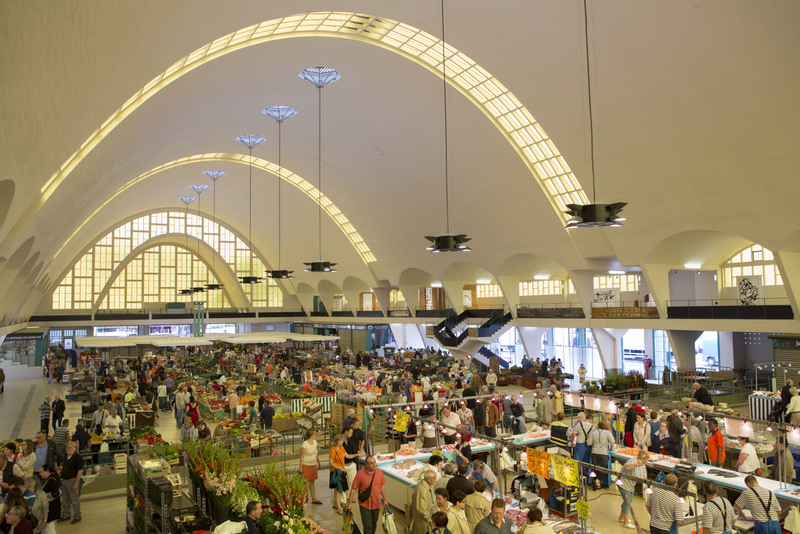 Boulingrin Market: The covered market was built in 1927 and has been renovated to its former glory becoming a bustling metropolis of produce. The market which is open Wednesday, Friday and Saturday is located in the town centre next to the Porte de Mars, a major ancient access point to the city, at the beginning of the Rue de Mars, where you can also find the charcuterie specialist Aux Gourmets des Halles and other gastronomic boutiques.